Hockey Night In Canada opened, this week, with a rousing rendition of Paul McCartney’s new song, “Save Us,” backing the usual montage of shooting and scoring and punching, and more punching, and some passing, and punching, building up to the big Nelson Mandela finish. Ron MacLean paid tribute to the late South African president’s geographical savvy with quotes involving the road to forgiveness and how, once you climb a hill, there’s always another hill to climb. In the rink in Ottawa, where the Leafs were visiting the Senators, a moment of silence in Mandela’s honour was broken by hardly any partisan bellowing. Meanwhile, in Moscow, R-Sport fretted about a crisis for the Russian hockey team playing host at the Sochi Olympics in February: with Ilya Bryzgalov going down this week with a concussion, all six Russian goaltenders playing in the NHL are now ailing. Sergei Bobrovsky’s lower body is stretched, strained, sprained, and/or smarting. Anton Khudobin’s ankle is his problem, while Evgeny Nabokov and Nikolai Khabibulin are troubled by groins. Sorry, that’s not quite right: what they’re saying is that they have “groin problems.” Semyon Varlamov has those, too; he also faces charges of third-degree assault for (allegedly) beating up his girlfriend. In Sochi, four-time world champion Russia is under great pressure to win gold following Vancouver 2010 failure, when the team was destroyed 7-3 by Canada in the quarterfinal. “A Bobby Hull howitzer it wasn’t,” wrote The Calgary Sun’s Randy Sportak of a Mikael Backlund goal that won a game for the Flames over Phoenix. It was cool to watch Com Chris Hadfield drop a puck from space last year but I believe Hockey should have stayed on the 5. Maybe the 10? At The Toronto Star, Damien Cox wondered whether Edmonton’s Taylor Hall wasn’t talking himself into the Team Canada conversation. 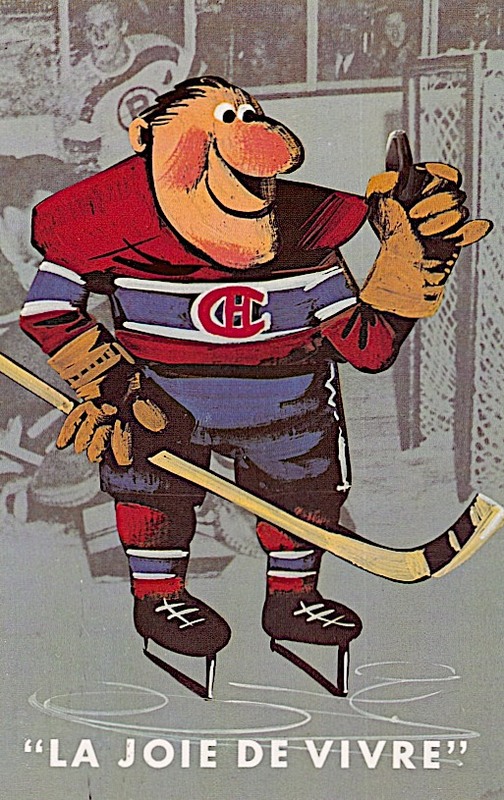 Talking to Sports Illustrated, Boston coach Claude Julien didn’t deny that as a boy, he’d worshipped the Montreal Canadiens. Times change, though. “Right now I don’t like them,” he said. The NHL paid Wayne Gretzky the $US8-million it owed him this week, parking instant speculation that he’ll be back soon in an active management role in, maybe, Washington or perhaps (possibly) Los Angeles, though of course how can you rule out Toronto? Pittsburgh was in to play. In the first minute of the game, Orpik hit the Bruins’ Loui Eriksson with what most observers deemed a fair bodycheck, even if the Bruins didn’t agree. There was no penalty on the play. There was, on several subsequent shifts, the Bruins’ Shawn Thornton making his eagerness to fight Orpik obvious. Orpik didn’t want to fight. He skated away. Later, when the Bruins’ Brad Marchand fell, the Penguins’ James Neal skated by and kneed him in the head. It was nasty; it looked awfully purposeful, with an accent on the awful. 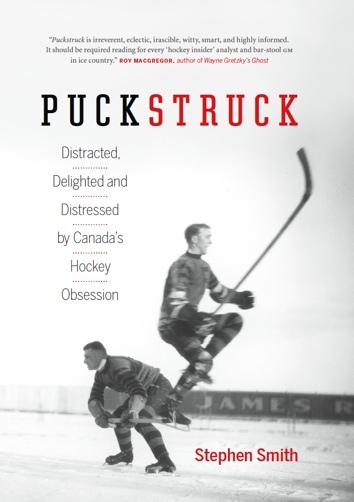 There was a melee, then, in which Thornton found Orpik, tripped him, punched him in the head until he was unconscious. A “confrontation” is what the NHL.com called it, reporting on the night. Hockey Night’s P.J. Stock was next, but he was even more flustered than Cherry, and made even less sense, which confused the rest of the panel, none of whom could keep the discussion from collapsing into nonsense. Orpik was on his way by ambulance to Massachusetts General. On Twitter, The Globe and Mail’s James Mirtle wondered whether, if he turned out to be badly hurt, was Thornton looking at a suspension of 20 or more games? Lots of people were saying that, bad as the Thornton thing was, Neal’s knee was worse. Also, that the referees should have nipped the whole mess in the bud before things went so wrong. Why had they let things get out of hand? As it happens, Katie Strang from ESPN.com had been talking to Thornton, earlier in the week. She’d asked him, among other things what would the NHL look like without fighting? You know where my opinion lies. I’m fairly biased. I think you’d see a lot of guys taking runs at each other. I think you’d see a lot of sticks high. Maybe I’m old-school in that thought but I think the thought of getting punched in the face by somebody can be a deterrent to dirty play. What about the Code? Does it still exist? Is it active? I take a lot of pride in that. I do. People could probably criticize that I’m a little too honorable, I suppose, in some instances. I’ve been a firm believer my whole life that what goes around comes around. If you’re one of those guys that suckers someone when they’re down or you go after somebody that doesn’t deserve it or isn’t the same category as you, that will come back and bite you at some point, too. I also take a lot of pride in the fact that I can play 8-12 minutes a night. I’ve had to work extremely hard on that part of my game to bring more to the table than just fighting. That’s part of my game, but I can do a lot more.